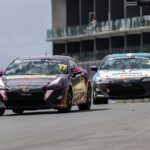 Mount Albert’s Connor Adam, 20, has been left wondering what could have been at the final round of the 2018/19 Toyota 86 Championship following a massive crash in the opening race of the weekend. 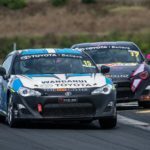 Racing at Waikato’s Hampton Downs Motorsport Park for the first time this season, Adam was heading into the round ready for some strong results after finding..
Callum Hedge is the 2018/2019 Toyota 86 Champion after a commanding win in the final race of the season sealed the title for the CareVets Scholarship racer. 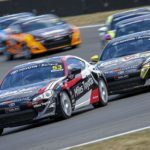 Hedge took the points lead on Saturday from Jaden Ransley and never looked back, with a second place in Sunday morning's race and a win on Sunday afternoon backing up his Saturday win..
Kaleb Ngatoa took his first victory in the 2018-2019 Toyota 86 Championship with a fine performance at Hampton Downs on Sunday morning in the JJ Walters/OCL Telecommunications car. Series leader Callum Hedge extended his lead in the championship with one race to go in the CareVets Scholarship car with second place, but former championship leader Jaden Ransley kept his own..
Callum Hedge won the first race of the Toyota 86 Championship final with ease to retake the series lead with two races to go, but the real drama happened behind with Jaden Ransley eliminated from the race after Connor Adam rolled his car and took the championship leader out of the race with him. It was Hedge in the CareVets.. 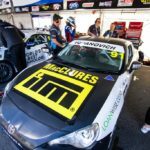 It's down to the wire for the young drivers in the Toyota 86 Championship final this weekend at Hampton Downs and after an epic season it's likely the hard-earned title will go to one of the trio who have starred over the past five rounds. 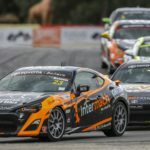 Mathematically, with 225 points available for three race wins, five are still able to win..
20-year-old Mount Albert driver Connor Adam has left the Round five of the 2018/19 Toyota 86 Championship feeling confident after regaining the speed he had shown in the early part of the season. 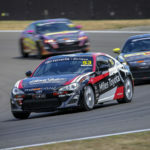 Competing at Manfeild Circuit Chris Amon over the weekend in support of the New Zealand Grand Prix event, Adam and his team showed their true pace from..
Christchurch's Jaden Ransley has continued his championship charge in the 2018–’19 Toyota 86 Championship with a second straight victory at Manfeild Circuit Chris Amon this morning in his Miles Toyota racer. The win, however, was not as straightforward as his Saturday effort. 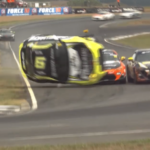 This time he was pushed all the way by both CareVets Scholarship drivers; Callum Hedge and Arran Crighton. What.. 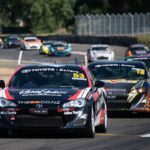 The opening Toyota 86 race of the Grand Prix weekend at Manfeild Circuit Chris Amon has brought with it change at the top of the championship standings. Jaden Ransley now holds the lead after disaster struck Jordan Baldwin further down the pack in the early phase of the 12-lap race. 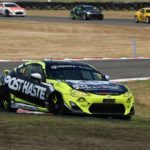 Ransley meanwhile won with minimal threat and took the overall..
It’s one of the big weekends of the season for the Toyota 86 Championship and the series looks set to go down to the wire. 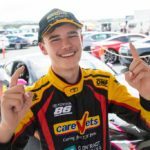 Points leader and Intermach-backed racer Jordan Baldwin took the last round literally by storm as he splashed and slithered his way in challenging conditions to two wins and a second place to dominate in the..